Selim Gundogdu, a 26-year-old Samsun man was found hanged on a tree in front of his house on Nov 19, media reported claiming that he was struggling with physiological problems due to his dismissal as part of the government’s post-coup purge. A recent graduate of the Karadeniz Technical University in Trabzon, Gündoğdu reportedly worked as a teacher in Erzurum until he was removed from his job by a post-coup emergency decree. 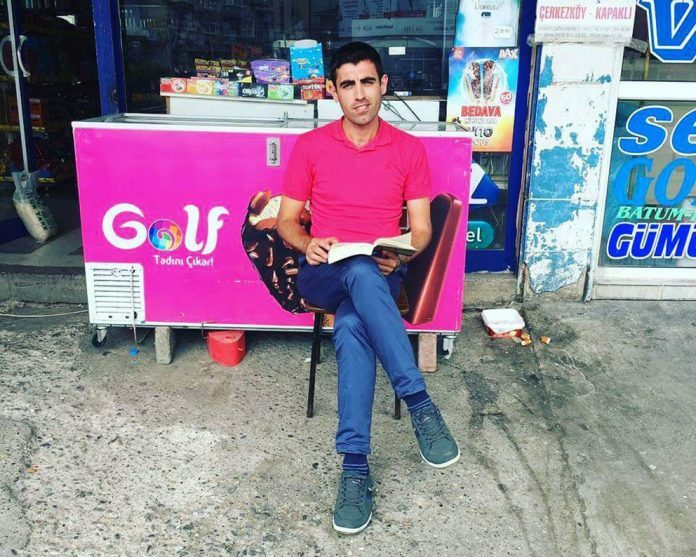 Returned home following the dismissal, Gundogdu started working at a convenience store in Samsun. Friends and family members said that Gündoğdu had been physiologically depressed while media also claimed that the teacher-turned-storekeeper was left by his fiancée, prior to his death. “A 26-year-old teacher… He was dismissed by a decree. He started working as a storekeeper to make ends meet. All his friends and pals turned their backs on him. He couldn’t stand to what he got through and committed suicide. Selim Gundogdu’s story has ended this way,” a group of people said during an Istanbul protest against post-coup dismissals. Some 150,000 people have lost their jobs, aearly 130,000 people have passed through custody and 60,000 were remanded as part of the government crackdown since the summer of 2016. Nearly 40 people who or whose relatives have been affected by the post-coup purge, either by losing their jobs or by being arrested, have committed suicide so far.